Are You Ready For The Next Generation Of Event Marketing? For the last few years Ticketbooth has worked with some of the largest event organisations. As a result, we have grown our suite of marketing-focused tools in order to improve better promote their events. Event Marketing is getting easier with us. We are excited to introduce you to our new Marketing Dashboard, the next step in event marketing, and provide you clearer navigation and demonstrate the value of each new feature in the Admin. To facilitate your navigation, we have removed the “Promote” and “Connect” sections. They are now located under a single section named “Marketing”. To help you with the use of our dashboard, we added alerts and notifications. They will appear when certain tasks have not yet been completed or when some actions are suggested. Get a better understanding of the recent activity in Tracking Tags and Email Campaigns thanks to a table displaying this information within those two features. Because we would not want our new or inexperienced users to struggle using our dashboard, we added a new section to the top of the dashboard called “Intro Guide”. In this guide you will find four recommended steps for all ShowClix users that have access to the Marketing features. In the interest of clarification, we have updated most of the names of the Marketing tools. You will navigate more easily from one section on the dashboard to the other. 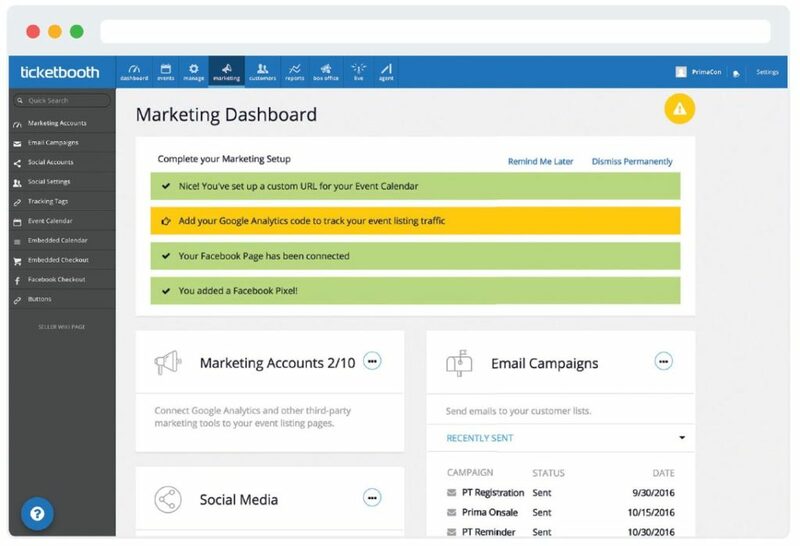 The new marketing dashboard will be available on the 7th of December, and is just one of the ways we are helping event planners Australia-wide sell more tickets online.